Sending out a strong message that it won’t allow players to interfere in selection matters, the AITA brought back old warhorse Leander Paes in the Davis Cup team despite “reservations” from seasoned campaigner Rohan Bopanna. The five-member selection committee named Yuki Bhambri, Ramkumar Ramanathan, Sumit Nagal, Rohan Bopanna and Leander Paes apart from including left-handed Divij Sharan as a reserve member in the side. Purav Raja, who performed below-par against Canada in the World Group Play-Off tie, was dropped from the squad. According to sources in the AITA, non-playing captain Mahesh Bhupathi had written to the chairman of the selection committee that Bopanna had expressed wish to “sit out” of the China tie, to allow Paes get his Davis Cup world record, effectively conveying that he was not willing to pair up with the legend for this tie. 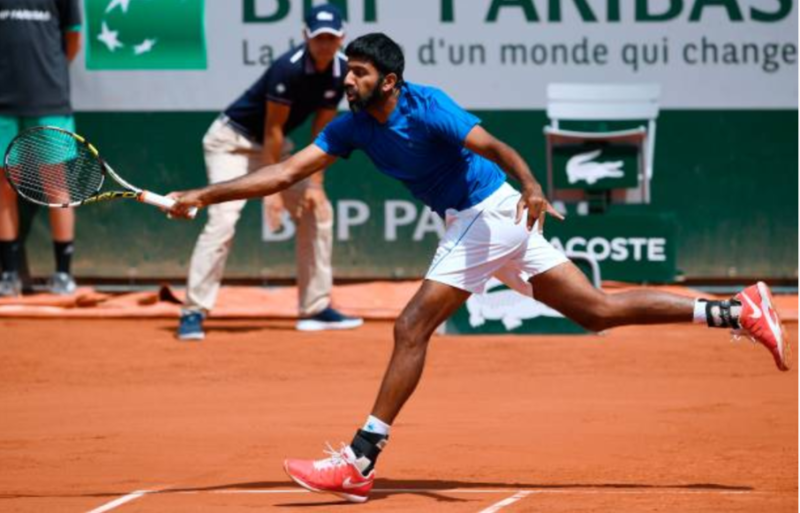 The selectors though have included both Bopanna and Paes in the team, leaving the ball in Bopanna’s court to decide whether he wants to play or opt out of the April 6-7 tie, to be held in Tainjin. “This matter was discussed in the EC yesterday and according to the captain, Rohan is still carrying a baggage and there is no on-court chemistry between them (Bopanna and Paes). The captain also felt that it was only Leander, who can convince Bopanna to play with him and that he must communicate with Bopanna,” an AITA official said. The AITA official said that it will be a very critical decision that Bopanna has to make. The official did not forget to mention that Bopanna still gets government grant and should be aware of what he is getting into. “Look, he (Bopanna) gets grants from the government. If he refuses to play for the country, leaving behind personal differences, AITA won’t support such players. They have to play only twice or thrice a year for India. Can’t they play without an agenda for two weeks,” the irked AITA official remarked. The differences between Bopanna and Paes go back a long way. In 2012, both of them were expected to play together on the ATP Tour to prepare for the London Olympics but later Bopanna had refused to pair up with Paes and forced AITA to team him up with Bhupathi. Paes had to play the men’s doubles event with unheralded Vishnu Vardhan. For the mixed doubles, he was paired with Sania Mirza, who didn’t hide her disappointment at being used as a “bait” by AITA to pacify Paes. Meanwhile, the 44-year-old Paes, who was dropped from the tie against Uzbekistan in April 2017, said he had no issues playing with Bopanna. “I am happy to make a comeback to the Indian team. I have worked hard and moved my ranking up, i am looking forward towards playing Rohan. We can make a good combination. I respect Rohan’s talent as a player,” Paes told PTI. Paes had been out of favour since the Bengaluru drama when he was not included in the starting line-up by captain Mahesh Bhupathi despite having him in the six-man squad. The veteran flew all the way from the US to Bengaluru and after being dropped, he had left the city mid-way into the tie. Paes returned to top-50 and is placed 46th in the rankings after his stupendous show at the ATP 500 event in Dubai, where he ended runner-up with Jamie Cerratani. Sharan, now ranked 44, is country’s second highest-ranked player after Bopanna (20), and has made a comeback to the team after 2012, when he made his debut against New Zealand. Asked about players’ reservation, Misra said they wanted to select the best possible team and have done so. Coach Zeeshan Ali said in current scenario, Leander and Rohan are best doubles pair for the team. “We have three best singles players in the team and three best doubles players. Having Leander and Rohan in the team is our best chance to get the doubles point,” Zeeshan said. Repeated text messages to Bopanna went unanswered. The Asia Ocenia group I tie will be played in new format over two days with all matches being best of three sets. The two singles will be played on Friday and the doubles along with reverse singles played on the following day. The ITF has now allowed five playing members in the squad instead of four. Shami-Hasin spat: SK Saifuddin the first husband of Hasin Jahan talks about their divorce.